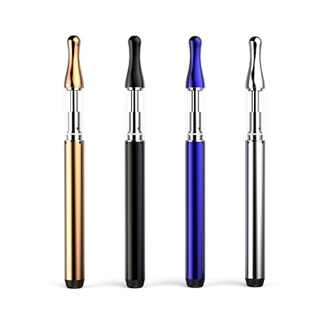 The Slim is a cbd oil vape pen starter kit consists of a T-one tank fitted onto a Slim Battery. The slim kit comes standard with a 1.5 Ohm ceramic coil resulting in a higher power output to achieve a more efficient evaporation of your CBD oil. To drive this lower resistance ceramic coil the Slim Battery is fitted with a new chip set with a higher power output capability. Note: This product is made to be used with CBD Oil Vape only, not compatible with e-liquid.